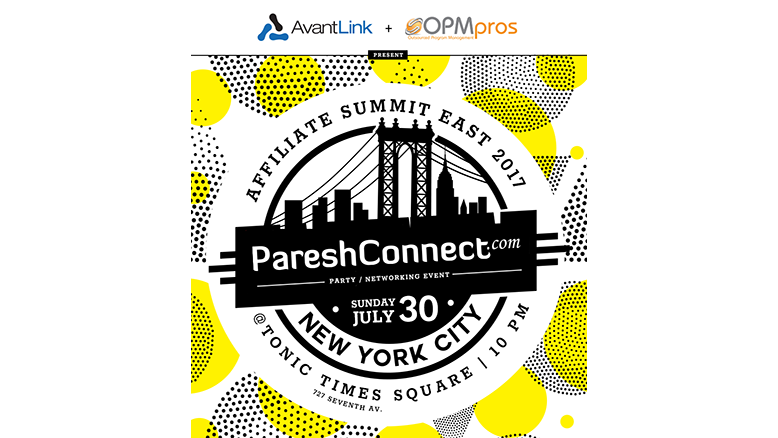 We’re excited to announce that AvantLink will be co-sponsoring the always amazing Paresh Connect event and after party at Affiliate Summit East 2017. If you will be in New York City for the conference, make sure to set aside plenty of time to attend the event. On top of the drinks and food served at the Tonic Bar in Time Square, you’ll also have plenty of opportunities to network with other ASE attendees in an environment that is more relaxed and fun than the conference floor. Meet other affiliates and merchants as well as the folks from OPMpros and AvantLink. For registration options, please visit the Paresh Connect website. Or to meet with AvantLink during the show, drop our support team a message and we’ll get it to the right person!